When it comes to fun holidays, Valentine’s Day is one of my very favorites. 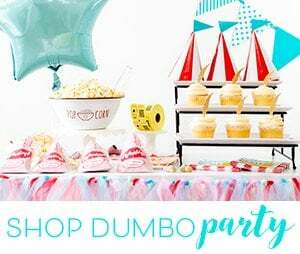 I love gawking at awesome ideas on Pinterest and of course creating my own in hopes to top last years ideas. I’ve been slow to get back into a groove since the holidays, the season of love just might be the thing to help me get my creative mojo back. 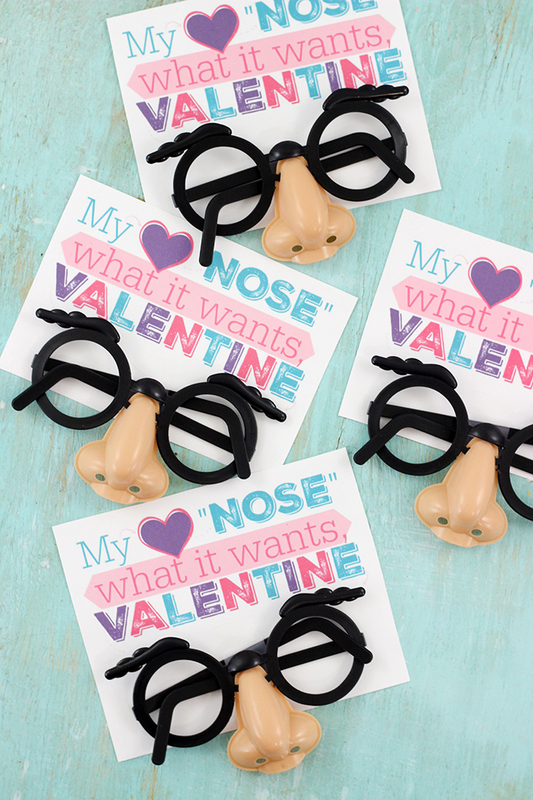 If you have a Valentine with a great sense of humor, this one is totally for you. 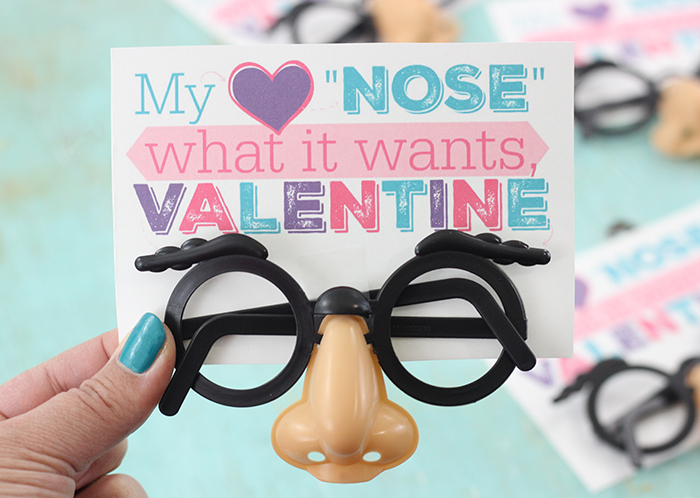 Check out my heart “nose” what it wants printable. 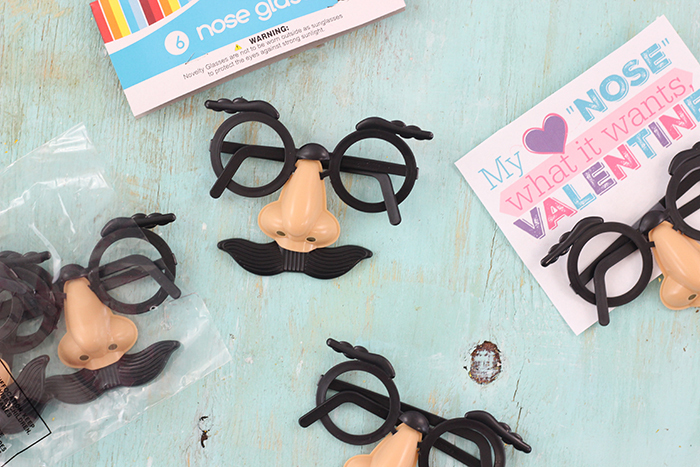 To get your geek on, pick up a pack of “nose glasses”. I found them in a 6-pack at Family Dollar in the party section. Best part is that they are only $1. They come with mustaches attached, but they snap on and off easily. Just remove the mustache for this project. I mustache you to remove the mustache. 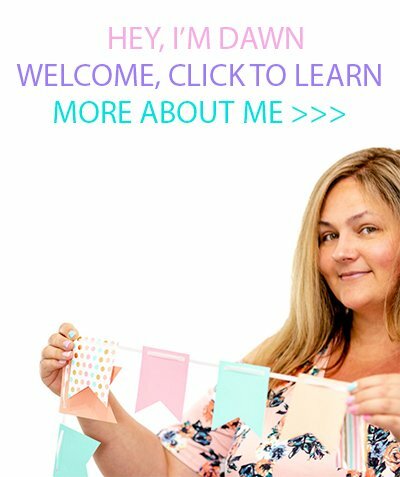 Download the printable at the bottom of this post and print it out. It works best on white stock paper, but regular printer paper works for a quick fix. All you need to do is trim out the notes and tape the glasses on to the bottom. You can steal your Valentine’s heart in like 3 minutes flat. Simple. Silly. Fun. That’s all we need, friends. Don’t forget to print off these goofy Valentines! Click the link below to download the pdf and save it to your computer. 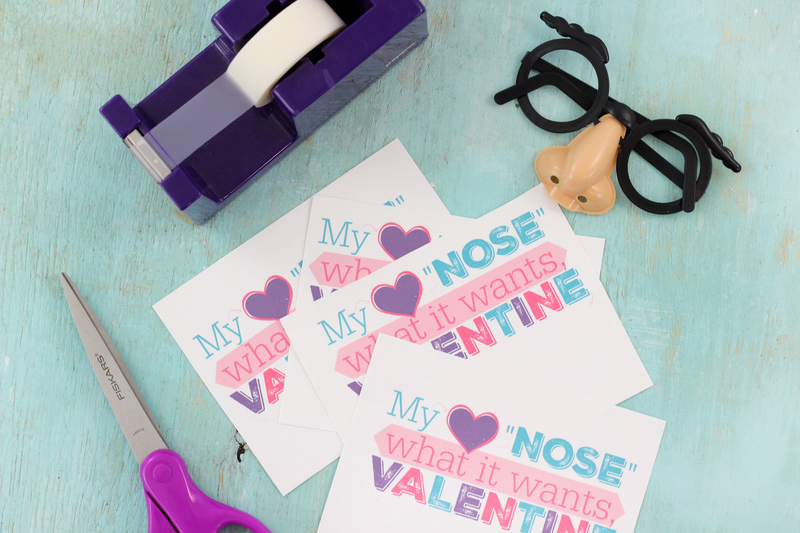 Check out these great Valentine’s Day DIY projects too! Since I’m being nosy, what are some more super goofy ideas for V-day? This is completely adorable! I just totally pinned it. Thank you so much Jenne! I super appreciate that ;) Hope you have a fabulous Valentine's Day!